With natural stone patterns and beautiful colors for interior designers to provide a broad creative element in the home decoration more and more people want to use some of the local natural stone. Compared to other building materials, from the selection of stone, pavement maintenance to the late, very particular about, if not heeded, the stone will not show their beauty. Natural stone blocks depends on the merits of quality and processing technology. Quality stone surface, without too much noise, cloth color uniform, not suddenly pale suddenly thick case, and there will be many irreparable "defects" quality time after stone processed. Therefore, the tone pattern stone surface of the stone is to evaluate the quality of the merits of the important indicators. If the processing techniques and technology, however, after processing the finished product will appear recessed, spots, stains, missing edge off angle, crack, color line, pit nest and other phenomena, such as the stone of course, can not be considered "top grade." 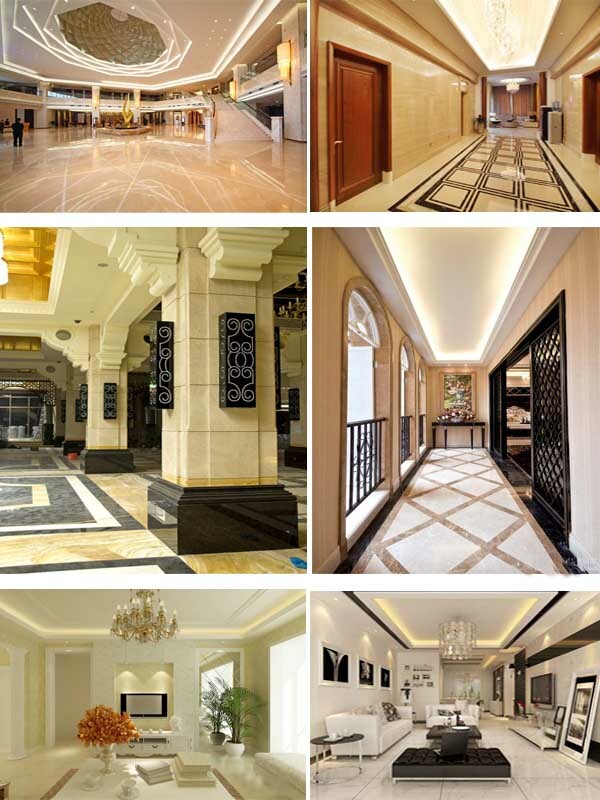 According to people dedicated to selling imported stone introduction, quality natural stone, sheet metal cutting edges should be neat and no chipping, smooth surface, high brightness, no rough sense of touch. In addition, the use of stone home decoration, not around the house makes the "incredibly hard", should choose those light-colored stone as a floor decoration materials, give people a warm, peaceful feeling, but also the effect of the expansion of floor space. From the varieties, try to choose those who should wear, acid class marble and granite stone class. From the price point of view, the production of large series of light-colored granite cheaper for general income families to purchase, replace the damaged part Hao ingredients. From the specifications sheet, it should try to choose a granite floor plate, which is mainly on account of the ground strength and load-bearing housing two factors.